This model is manfactured in Europe with the most advanced technologies you can find , it is fullly made of " spread tow" carbonfibre and it is painted in the mould. Contruction and production technology is optimized for the competition in the F3K class with no compromise , there is an optimum of performance/weight relation. We only use gigh advanced materials for this elite model. Tomahawk is offering this model in a ver yhigh premanufactuing status , it is virtually ready for take off. There are 4 pc KST-X08N-Servos in alloy-housing built in , the RX-battery is also included , all linkages are ready , and we have added protection bags for safe transport. 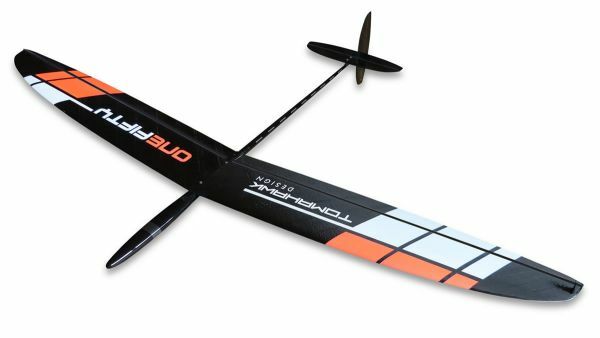 Related links to "ONEFIFTY F5K DLG 1,5m PnP Full-carbon with battery and protection-bags"